On loan from MC Hammer's extensive collective, a classic example of fine Pantaloons. Often confused with regular pants, pantaloons are fancy pants. 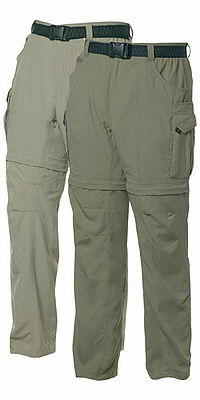 Popular among dandies, fancy men, lumberjacks, and poofs, pantaloons are most noted for their comfort and freedom. However, Pirates have always been the largest demographic to don them both privately and publicly, no matter the current vogue. Shea McPuffin of McPuffin's Loons (a one-of-a-kind, highly-stylized type of cape) got the idea for his pantaloons when the local pirates of B'Lanneesford complained their pants were plain and dormant compared to their magnificent Loons. Surely, they protested, Mr. McPuffin could help. Despite McPuffin's apt advice that the Loons were designed to contrast the rest of their Pirate-wear, he eventually, with some convincing, defacated in his pants and acquiesced. While waning in popularity today, many pirates still boldly stand proud in their pantaloons. It has been noted in several studies that the freedom of motion granted by pantaloons is a major positive contri We interupt our program for this breaking news story fukkkkkkkkkkkkkkkkkkkkkkkkkkkkkkkkkkkkkkkkkkkkkkkkkkkkkkkkkkkkkkkkkkkkkkkkkkkkkkkkkkkkkkkkkkkkkkkkkkkkkkkkkkkkkkkkkkkkkkkkkkkkkkkkkkkkkkkkkkkkkkkkkkkkkkkkkkkkkkkkkkkkkkkkkkkkkkkkkkkkkkking vaginas is the new black, we return you to our presentation now, buting factor to the expected lifespan of the average pirate. The incidence of death by bleeding out of an impaled lower appendage is nearly halved among the sample test groups. Depending on where you come from, these may be trousers, pants, or maybe even Pantaloons. In the strictest sense, pantaloons must be made of a near-transparent, loosely weaved white cotton. Yet, modern materials and fashion have created just about as many variations of as there are uses for pantaloons. Today, any relaxed or loose fitting pants that combine style with practicality may be deemed pantaloons. The pantaloon, as well as the McPuffin Loon, influenced the design and promulgation of the white, ruffled, button-down shirt (as iconically depicted in Seinfeld). Although this shirt was never worn by the pirates of B'Lanneesford, the pirates are usual depicted wearing such a shirt in modern paintings, tv and film. The Duke of Versailles, suffering from elephantitis of the gonads, contracted McPuffin's descendants for a custom set of pantaloons. Although difficult to imagine, up until that day, pantaloons had only been sold in pairs. Of course, thanks to the Duke, we now have foursies for cats, bears and puppies. The Duke's "3-legged" trio of pantaloons was quite the talk of the town for weeks, until an unfortunate mishap with one of the many modern marvels in his fantastic house. Although the Duke recovered several weeks later, he never again trusted the new-fangled revolving door. The only known surviving trio of pantaloons is currently owned by MC Hammer, who purchased them for an undisclosed amount estimated at half the money in all the world. Unlike most of his collection, he is rumored to wear them quite often, as his girlfriends have noted an unusually profound swelling in his "hammer" after prolonged use. Currently, a bill alotting $70 million, for cheap stretchable pantaloons is making its way through Congress. Publicly, the bill claims to afford proper, rip-free clothing for morbidly obese school-children, who consitute 99% of the class, by volume. The bill, less-publicly, aims to force overweight school-children to wear the poofish clothing to embarass them into conforming to healthy eating and excercising habits. Chuck Hagel sponsored the bill in hopes of winning favor with six-pack toting, health-enthusiast Barack Obama. Congratulations! You have reached the End of the Internet! Where would you like to go? East? West? North? South? Outside? Now, go away, because I'm afraid that this article could be a stub, because this template is no moon. Note: This article is Bob Barker-approved. This page was last edited on 2 March 2012, at 15:45.